Today marks the birthday of one of Russia’s most celebrated composers, Sergei Prokofiev, born April 23, 1891. A brilliant composer whose life straddled a difficult cultural and political time in his native land, Prokofiev often had to tread a thin, precarious line between his private artistic life and his dual-life as a public figure in Soviet Russia. Like his fellow countryman and composer, Dmitri Shostakovich, Prokofiev was accused of atonality early on in his career, a charge against which he staunchly defended himself. Both composers were publicly admonished in 1948 with the Zhdanov decree which accused them of formalism; music that did not conform to the Soviet doctrine. 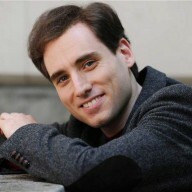 Fortunately Prokofiev’s legacy—his music—can now exist without the heavy drapery of its Soviet cultural significance. However, in works like the three ‘War’ Sonatas for piano, looking into the past can yield clues to the many facets and characters that form within these great works. The complexities are manifest, and navigating between fact and extra-musical fiction is a difficult process that one should approach with trepidation. 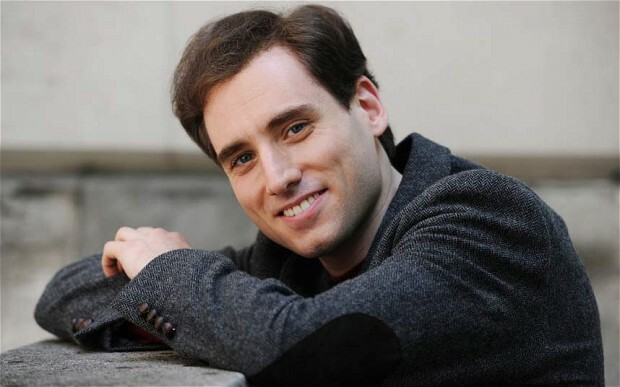 In a two-part post concert pianist Boris Giltburg, who has been widely praised for his recording of Prokofiev’s ‘War’ Sonatas, and who performed the Eighth Sonata at The Phillips Collection in November 2013, offers us his perspectives on Prokofiev’s life and music. Q: Prokofiev worked on the ‘War’ Sonatas in tandem (at the outbreak of war in 1939), thinking about them as a collective whole. How does that influence your ideas in performance and more specifically what do you make of the transition from the clangor and violence of the last movement of the Seventh Sonata into the broad melodic landscape of the Eighth? A: I’ve never performed even two of the three sonatas in the same concert, to say nothing of doing all three together! My personal experience has so far only allowed me to tackle one sonata at a time—even when recording all three, we neatly split them over three days. I imagine that if one had to perform the Seventh and Eighth in a row, the beginning of the Eighth would serve as a temporary area of tranquility between the end of the Seventh and the nearly-as-violent development of the Eighth’s first movement. I also wonder if in the listeners’ minds a connection would be formed between the second movement of the Seventh, very deep with warm, dark colors (think Kafka or Bulgakov), and the second theme of the Eighth’s first movement, which shares some of those traits (though cooler in mood); or indeed between the opening lines of the two movements (second movement of the Seventh and first movement of Eighth)—both long and winding, both giving the semblance of lyricism, and both being starting points which then lead into a gradually worsening situation. If looked upon as one big whole, the ten movements of the ‘War’ Sonatas form an incredibly rich narrative. The Eighth, with its unrivaled breadth of scope, is probably the highlight as Prokofiev has surpassed himself there, creating a work of art that to me has the ring of a nearly universal truth. Then—preceding it—the Seventh, the first movement of which is all about the ‘horrors within’ for me: the fear of being arrested, to be exiled, never to be seen again (I imagine its second theme to be about the hopelessness of such an exiled person, and the end, with its rapid gun-fire exchanges, to be an execution by firing squad.) And then comes the second movement, the darkest and most personal of the ten, and the finale, allegedly the triumph of the human spirit over all calamities, but just as easily the triumph of some well-oiled, soulless machine over, well, basically everything—including the human spirit. The Sixth is the hardest to define in a few words, as its movements are the least unified: the first, oscillating between the uttermost barbaric violence and a ghostly, impersonal second theme; the second, a spiky march with a (dark) fairytale middle section; the third, a slow, dreamy, escapist waltz and the finale, with its fiendish drive, deceptively sweet second theme and that wonderful middle section of chromatic lines slowly crawling downwards. How great it is to be able to work with such material! Q: The lyrical side of Prokofiev is often overlooked by the percussive, rhythmic intensity of his music. But there is tender lyricism throughout the ‘War’ Sonatas. What balance do you see has to be struck between the two? A: Going over the sonatas in my head now, my personal feeling is that real moments of tenderness or lyricism are very rare. I would only nominate the slow movement of the Sixth and parts of the slow movement of the Seventh as candidates for sincere emotions, to be taken at face value. Much of the remainder of the non-aggressive material is haunting, or cold, or so ambiguous that it could be interpreted as a parody of tender lyricism rather than the real thing. And—this is perhaps controversial—the one sonata where I find almost no tenderness at all is the Eighth, allegedly the most lyrical of them all. For me, those long melodic lines in the first movement are sly, crawling, calculating; the crystalline bridge theme is filled with the coldness of abandoned streets, with nothing but wind to roam between the houses (imbued with a menacing hint of danger lurking just outside one’s reach), with only the second theme showing some sincerity and tenderness. But it’s the tenderness of a folk song sung far away, beyond a smoldering battlefield where nothing living remains. The third movement has no lyrical or tender moments whatsoever (the one pseudo-lyrical section—the transition to the recapitulation, marked irresoluto—is for me pure Uriah Heep: slithering and sickly-sweet). The second movement is an example of the ambiguity I mentioned above; the tenderness is definitely there and the overall mood is gentle, but right from the start there are subtle harmony shifts, ever-so-slightly dissonant chords accompanying the elegant melody, some unruliness in the inner voices which, taken together, seem to defy a fully peaceful interpretation. A possible approach could be to look at it as a deep dream-state, with just small fractions of reality infringing upon its serenity. All this is of course a completely personal look on the music; I cannot prove that Prokofiev meant any of this—but the musical text is so rich, complex and multi-layered that it readily supports such an interpretation, should one wish it to. As for the question regarding the balance to be struck between the various moods, I’d say it’s often better to approach every section and every movement on its own, without trying to force the music into a certain interpretation. No matter how strong the argumentation for an extra-musical approach, it’s the music which should ultimately dictate and lead—so one is probably better off casting aside any preconceptions one might have, and just letting oneself be submerged into the world the Sonata is creating. It’s one of the works where each performance takes a different path, and re-experiencing it every time on stage is a large part of the pleasure. This entry was posted in Music Notes and tagged classical music, musical interpretation, Russia, Russian music, Sergei Prokofiev. Bookmark the permalink.